Good Friday is here again. Seems like just yesterday, we had ashes placed on our foreheads for the start of the Lenten season. 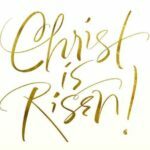 Now, we come to the time to continue to remember what our Savior did for us so many years ago and all this means today. Tonight, many, many years ago, Jesus had supper with His followers. He told them what was going to happen, promised everything would be alright, and then He went to the Garden of Gethsemane with a few disciples. “….And being in an agony He prayed more earnestly: and His sweat was as it were great drops of blood falling down to the ground.” Luke 22.44. How many nights I have agonized over my life situations or my loved ones? I always thought God did not understand the agony of the human condition, however, I was wrong, He is well acquainted with agony as well as sorrow and grief and sin even though He never sinned or deserved punishment. Today I heard a story that asked, “What is the very strong emotion to a person who is very difficult and terrible to us or has done very wrong things?” Most answered ‘hate,’ and at first that is what I would think I would answer. But the truth is there is another answer. An answer that took time to sink in – it is Jesus’ answer. He answers, ‘Love.’ Love is His response to those who hate Him, those who praised Him just a week before and now want Him dead, those who falsely accused Him, those who spit on Him, those who dragged Him to be humiliated in front of kings and jeering crowds demanding He be killed even though He healed many among them and fed them and was kind to them and did no wrong. Jesus responds in love to the ones who shoved a crown made of painful thorns on His head and beat His back, stripped Him and mocked Him and those who put Him on a Cross and drove nails in His hands and feet . He answers to forgive them and continues going to the Cross where He suffers an unimaginable death to save us and love us. For ‘no one has greater love [no one has shown stronger affection] than to lay down (give up) his own life for his friends.’ John 15.13. And ‘…but God shows and clearly proves His [own] love for us by the fact that while we were still sinners, Christ (the Messiah, the Anointed One) died for us. Romans 5.8. God’s reaction to my sin, disobedience, stubbornness, pride, lack of faith, disinterest, hate in my heart against others who wronged me, and more is not hatred and disgust with me, but mercy and love and forgiveness. I am thankful as I remember the Lamb of God Who came to live and die for me and the whole world. The Lamb of God Who takes away the sins of the world. John 1.29. Hosanna! A shout of praise or adoration; an acclamation. Praise is the offering of grateful respect or reverence rendered in words or song; as an act of worship. The crowd cried Hosanna in the streets on what we celebrate this Sunday as Palm Sunday. 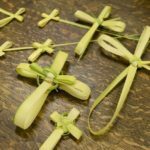 Most know the story of Jesus riding through the streets on a donkey being praised and adored; palm branches lining the streets. Matthew 21.9 tells us ‘And the multitudes that went before, and that followed, cried, saying, Hosanna to the son of David: Blessed is He that comes in the name of the Lord; Hosanna in the highest.’ In Luke 19.39-40, the story continues how the religious leaders tried to stop the praise – “some of the Pharisees in the crowd said to Jesus, ‘Teacher, rebuke your disciples!’ to which Jesus replied ‘I tell you, if they keep quiet, the stones will cry out. '” Creation praises God every moment. So will I. The greatest adoration for our God is to praise Him. Praise flows from a grateful heart and demonstrates our love for God. In fact, praise is one of the greatest weapons against attacks of the enemy. The gates of hell cannot resist against our worship and praise. The devil is no match for the praise we give to God. I have experienced relief from tormenting anxiety and depression if I just sing a song of praise to the God I love. The account of Paul and Silas being imprisoned shows how mighty our praise to God is – “..but about midnight, as Paul and Silas were praying and singing hymns of praise to God, and the [other] prisoners were listening to them, suddenly there was a great earthquake, so that the very foundations of the prison were shaken; and at once all the doors were opened and everyone’s shackles were unfastened.” Acts 16.25-26. Our chains also come loose and we cannot be stopped in any way from healing, restoration, financial blessing, answered prayers, freedom from addictions, depression, and other tormenting things around us. Praise is powerful. Praise the Lord. Praise God in His sanctuary; Praise Him in His mighty heavens. Praise Him for His acts of power; Praise Him for His surpassing greatness. Praise Him with the sounding of the trumpet, Praise Him with the harp and lyre, Praise Him with timbrel and dancing, Praise Him with the strings and pipe, Praise Him with the clash of cymbals, Praise Him with resounding cymbals. It’s easy to forget. Sometimes it’s great to forget. Great to forget difficult moments in life, accidents that were devastating, job loss, hurtful words, times we thought we’d never make it through, and more. Sometimes we forget so we can remember only the good things in life. On the other hand, memories are precious. It’s great to remember. Great to remember good friends, good times, achievements, fun parties, past vacations, and more. Many of us have pictures or mementos that remind us of special moments or special people in our lives. It seems to me that God knows how easy it is to forget and tragically how easy it is to forget Him and how much He did for us so many years ago. In His Word, He reminds us to continually remember God. All the goodness in my life is from the Hand of the Father. I want to remember each day how He came into my life to give me His life and His truth, and His deliverance and love. I want to remember His care for me and what He did to care for me. He gave His life to give me mine. Praise be to God. I pray to always be in remembrance of Him. I have read the entire Bible many times. It seems I miss a lot though. One day, while driving, I listened to a minister preaching about the Spirit of God. He mentioned a verse in Romans – 8.11 to be exact – that I have read many times. The verse states “….and if the Spirit of Him who raised Jesus from the dead is living in you….” Either another translation or the minister emphasized this verse to say ‘the same Spirit that raised Jesus from the dead is at work in me.’ The Words hit me like a ton of bricks. I never noticed these words this way the many times I read my Bible. The same Spirit – the One that raised Jesus from the dead. God is constantly reminding me of the profound truth and meaning of this verse. I never seem to fully grasp it though. If the same Spirit lives in me, why do I live so below my own expectations? Why do I worry my prayers may not be answered or God may not come through for me? Why do I think my problems and struggles are too great for the Living God or go unnoticed by Him? Why do I think His love and mercy will end or His supply for my life will end? Why do I go defeated, anxious, and depressed at times? This season of Jesus’ life and death reminds me constantly of the sacrifice my Savior endured so that the same Spirit that raised Him could live in me. The same Spirit that allowed Jesus to cast out demons, heal the sick, raise the dead, and preach the Word. The same Spirit that allows me to be loved by God, be forgiven every weakness and sin, be loved as the imperfect me as God loves Jesus, have everlasting life – here and after physical death, and allows me to pray for the ones I love. It is the same Spirit that allowed Jesus to turn the water into wine, walk on water, and change His ordinary apostles into committed followers. It is the same Spirt that leads me into truth and truth that allows me to be set free. The same Spirit that is my Comforter, my Counselor, my Way Maker, my Deliverer, my Everything. The same Spirit that was sent from God to me, opened my blind eyes, infills me with power for the tasks of today, and blesses me with assurance of being a child of God. The same Spirit that knows my weaknesses and prays for and through me. The same Spirit that raised Jesus from the dead is at work in me. I pray for the deep and wonderful revelation of these Words to penetrate every fiber of every readers’ being this Lenten season and forever. I am not sure I have heard sadder words than, “I don’t care” or “who cares?” How important is it to care? According to the young man, this small, but powerful statement hurt that young man more than all the excessive punishment he had received in the past. For someone to ‘not care’ who was inherently supposed to care was apparently devastating to him. I have contemplated the words of this young man many times. What and who do I care about? I care about eating and sleeping and exercising and working.I care about my clients and pets. 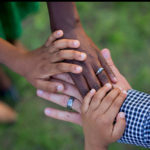 Do I care about my neighbor or family or co-workers? I hope I do. I realize many do care, but there are many that do not take notice of the profound and ultimate Gift God has given to us and the true impact of the Cross and Jesus’ life and sacrifice. 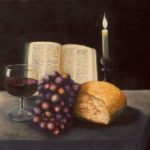 Matthew 22 tells me another tragic story – “Jesus spoke to them again in parables, saying: “The kingdom of heaven is like a king who prepared a wedding banquet for his son. He sent his servants to those who had been invited to the banquet to tell them to come, but they refused to come…..” Some had other things they considered more important – they plowed fields, married off their children, and more. They had no time for God. Because of this Lenten season we celebrate – the life and death of Jesus – and His resurrection, we have all been invited to the banquet. It is a season for caring. I pray for everyone to care. 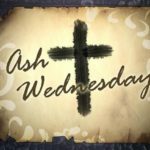 Since Ash Wednesday, we have entered into the ‘Lenten season.’ It is the Christian season that is a period of 40 days before Easter. It is a time when many Christians choose to fast, repent, do things in moderation, practice self-denial of certain enjoyable activities, or work on spiritual discipline in areas they feel could use some improvement. 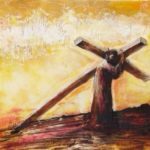 To many, the purpose of Lent is to take time for reflection on Jesus Christ—His suffering and His sacrifice, His life, death, burial, and resurrection. Before He was crucified, Jesus spent time with His disciples. He prepared them. He told them about the soon-to-be events. He told them how He would be taken, beaten, and crucified. He told them they would abandon Him, but it would be alright afterward. He told them one of them would be the one to betray Him. He knew Peter would deny Him three times. Jesus knew everything and He spent the time before He left them preparing them and telling them how He knows everything and everything has a plan and purpose. Jesus could have called thousands of angels to rescue Him, but then He would not been able to rescue us. His sacrifice and choosing to surrender have been the very thing that saves us all today from every failure, every mistake, and every regret. His sacrifice has allowed us to be healed and well. His sacrifice allows us to become the children of God. During this six weeks of Lent, I have committed to self-examination and reflection. 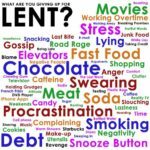 Some Christians who observe Lent may make a commitment to fast, or give up something—a habit, such as smoking, watching TV, swearing, or a food or drink, such as sweets, chocolate, or coffee. I want to make a commitment to read my Bible and spend more time in prayer to draw nearer to God. Some strict observers may not eat meat on Fridays, often opting for fish instead. The goal of my spiritual choices is to strengthen my faith and develop a even closer relationship with God. I admit my sacrificial intentions usually only last about 6 or 7 days when I try to do things to become a better person and better Christian. I would be happy to give up stress and procrastinating and many of my other ‘bad’ habits. Truth be told, I have been a miserable failure at trying to do better in many areas. I don’t want to just give up complaining, fearing, swearing, bad attitudes, lack of concern for others, and all my other shortcomings for 40 days, but forever. I thank Jesus for choosing to come to Earth, be born a Baby, live His life, and suffer and die on a Cross to be raised from the dead three days later for me. I realize I do not have to suffer because He already has, but I want to reflect on Him and His goodness this season and all to come. The concept of more is not a new one. I used to want more and more. I even had people calling me to offer me more – more furniture, more add ons to my home, more, more, more. I want more peace – “Do not fret or have any anxiety about anything, but in every circumstance and in everything, by prayer and petition (definite requests), with thanksgiving, continue to make your wants known to God. And God’s peace [shall be yours, that [b]tranquil state of a soul assured of its salvation through Christ, and so fearing nothing from God and being content with its earthly lot of whatever sort that is, that peace] which transcends all understanding shall [c]garrison and mount guard over your hearts and minds in Christ Jesus. Philippians 4.6-7. I want more faith – “Now faith is the assurance (the confirmation, (the title deed) of the things [we] hope for, being the proof of things [we] do not see and the conviction of their reality [faith perceiving as real fact what is not revealed to the senses]. Hebrews 11.1 and the whole chapter. I want more joy – “And be not grieved and depressed, for the joy of the Lord is your strength and stronghold.” Nehemiah 8.10. Yes, I think I am guilty. I want more, Lord. In Jesus’ Name. Amen. I, like just about everyone I know, would love to know the future. I sit and wonder if I will ever own a home? if I will own a horse again? 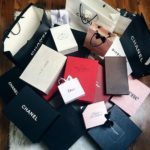 if I will ever fall in love? will my anxiety and sadness at times ever go away for good? Sometimes I tease about ‘being psychic,’ but it just ain’t so. 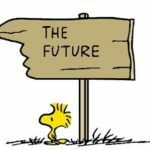 So many say we would really not want to see into the future, but sometimes just a quick glimpse of a certain present circumstance outcome seems like it would be nice. The truth is that many times I rob myself of the joy of the moments I have being so preoccupied with all the tomorrows of my life. Jesus told us not to be worried about tomorrow when He said ‘So do not worry or be anxious about tomorrow, for tomorrow will have worries and anxieties of its own. Sufficient for each day is its own trouble.’ Matthew 6.34. Yes, tomorrow will have a whole new set of challenges and problems and the God we love will not be scrambling around trying to figure out how to help us. So, I need to stick to today. 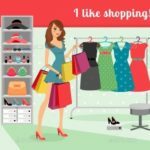 Recently, I encountered a situation that has caused me much grief. I did not know which way to turn. Some things pointed to my staying and seeing what happened, and some things pointed to the situation being hopeless and my need to run away from the situation as fast as I possibly could. What to do? Well, I decided to jump ship. I can’t say I have not been confused and disappointed. Why did this happen to begin with? It seems like such an experience in futility to be honest. While reading my devotions one day, I came across Matthew 24.1-2 -‘Jesus departed from the temple area and was going on His way when His disciples came up to Him to call His attention to the buildings of the temple and point them out to Him. But He answered them, Do you see all these? Truly I tell you, there will not be left here one stone upon another that will not be thrown down.’ It hit me like a ton of bricks. My Savior knows all about the future. Every minute of my future, your future, our futures. When I am disappointed, I lose site of this fact. I lose site of the fact I can trust the Man Who died for me to know all about my future and all about what is good and not good for me. I can trust Him to direct all my steps even when I cry myself to sleep wondering why something did not turn out as I had hoped. My faith seems like imagination more times than I wish, but after all the wrestling and struggling through everything, God makes His Light to shine on the situation and I want to trust Him. I want to love Him even when I do not understand because I know that I know that I know, He does and does want what is best for me.